Don’t join them. Beat them. Fewer than 20% of active fund managers out-perform the market, and the average personal investor fares worse. From 1995 through 2015 the S&P 500 averaged 9.85% a year, while the average equity fund investor earned only 5.19%. Statistically, humans alone don’t do too well against efficient markets. Everyone is promoting index funds as the answer these days, and they have their place, but what if you could leverage our AI to focus your stock investments? Our sentiment algorithms back-test to 2012, and the signals they produce have out-performed the market every year since inception. Fewer than 20% of active fund managers out-perform the market, and the average personal investor fares worse. From 1995 through 2015 the S&P 500 averaged 9.85% a year, while the average equity fund investor earned only 5.19%. 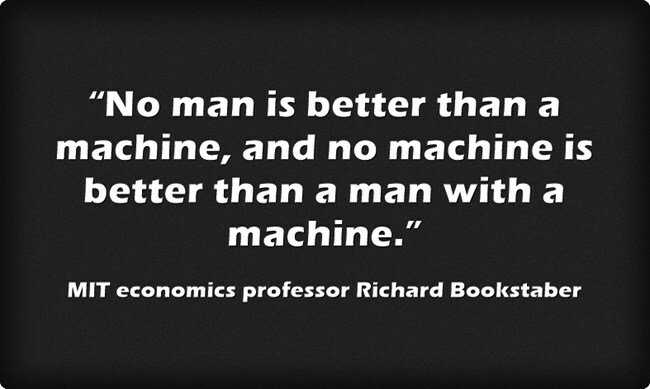 Statistically speaking, humans don’t do too well against efficient markets. Everyone is promoting index funds as the answer these days, and they have their place, but what if you could leverage our AI to focus your stock investments? Our sentiment algorithms have out-performed the market every year since 2012, when there was enough data on the internet to feed their parameters. Kesta, LLC is an alternative data feed provider that has a proven track record of Alpha realizing insights. Our proprietary AI algorithms crawl the internet and analyze sentiment to predict unrealized corporate growth. The results of these algorithms allow us to very successfully predict companies that will outperform traditional analysts expectations on earning’s reports, leading to market smashing returns for us and our customers. We are a team of people with a passion for finding connections between the human psyche and our collective consciousness on the internet. These connections, patterns and data are the stuff that drives us. The puzzles they present, the stories they tell, and the markets they influence are what supplies us. We try to keep it simple. We pick winning stocks, you tap into the feed. Our sentiment algorithms produce clear, actionable guidance for financial advisors, fund managers, and investors. Data science is hard, let us do it for you. We’ve got something for every investor. Cheaper than your favorite video streaming service! Better than your favorite video streaming service! Weekly alternative data feed of all 1500+ companies that our AI generates sentiment scores for. Our algorithms marked NVidia as a buy in June of 2016. Over the next 12 months it was up by 200%. Our algorithms marked Arista Networks as a buy in January of 2017. Over the next 12 months it was up by 140%. Our algorithms marked Instructure as a buy in April of 2017. Over the next 12 months it was up by 80%. Set up and link to free “Full” trial. Investing in equities is risky. Trading is very risky. The information in an electronic communication is not intended to replace a recipient’s own internal business processes for evaluating proposed transactions. Recipients should seek financial advice regarding the appropriateness of investing in any securities referred to in an electronic communication and should understand that statements regarding future prospects of the instruments or the securities included in them may not be realized. There can be no assurance that the securities or other financial products or services mentioned in an electronic communication could be bought or sold at such prices, or garner predicted returns. Past performance is not necessarily indicative of future results. Kesta, LLC is not a Registered Investment Advisor, nor does it provide tax, accounting, legal or regulatory advice, and all investors are advised to consult with their tax, accounting, or legal advisers regarding any potential investment. To the maximum extent permitted by law, Kesta, LLC disclaims any and all liability in the event any information, commentary, analysis, opinions, advice and/or recommendations prove to be inaccurate, incomplete or unreliable, or result in any investment or other losses. There is a substantial risk of loss in equities, futures, and forex trading. Online trading of stocks and options is extremely risky. Assume you will lose money. Do not trade with money you cannot afford to lose.